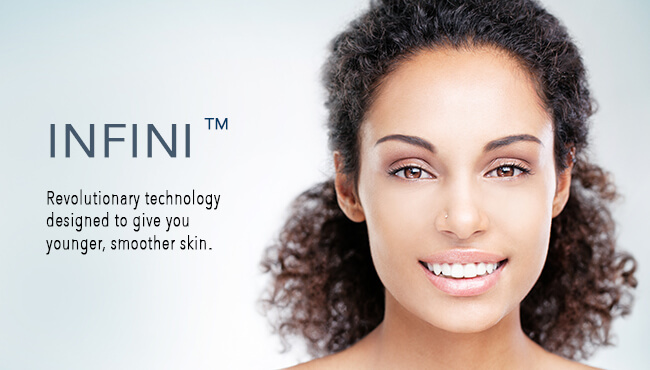 The INFINI laser process takes advantage of the skins habit of responding to micro-injuries by producing new collagen. This process is initiated by using high-frequency radio delivered through micro-needles inserted through the skin using their patented system. Through this process fine lines are reduced, skin texture enhanced, and sagging, loose skin tightened resulting in fewer fine lines, scars, and wrinkles. 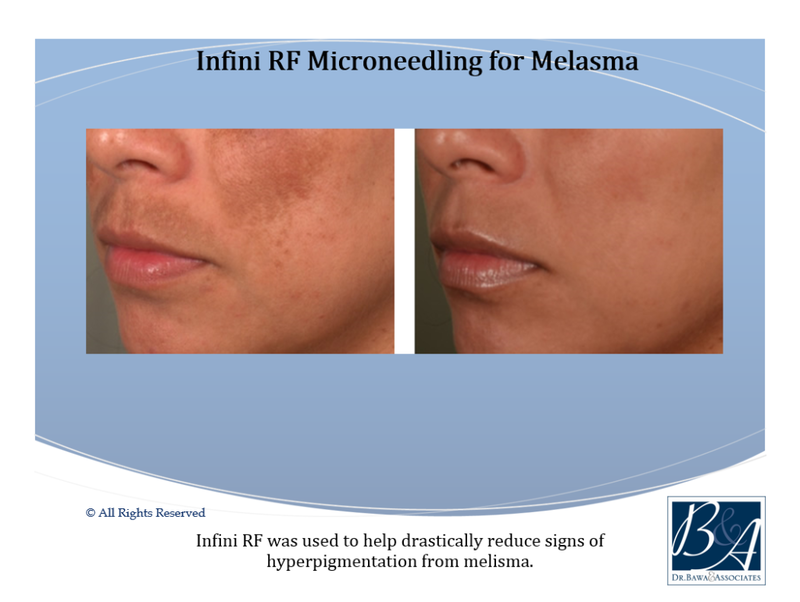 INFINI is a new dimension in radiofrequency (RF) technology used to address sagging skin, wrinkles and changes in skin texture. It uses a 3-dimensional approach of delivering RF energy to create tissue volumization. 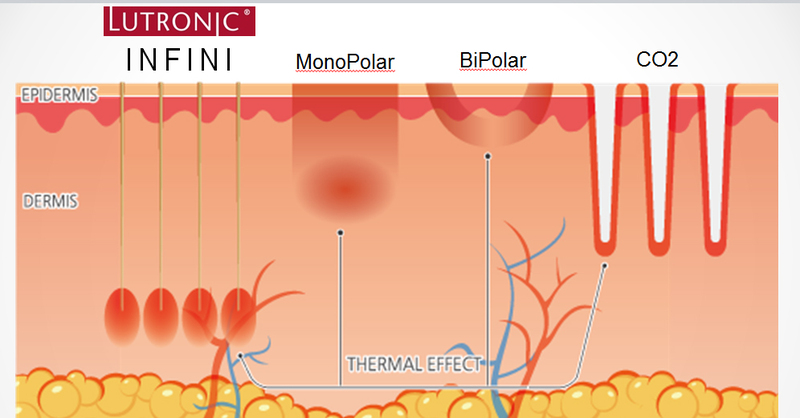 INFINI Laser treatments don’t take long to complete, only requiring two or less hours to finish. 30 minutes of this time is spent waiting for the numbing treatment that’s been applied topically to work. How does the practitioner administer the INFINI Treatment? Using the patented INFINI handheld system equipped with fresh, sterile needles your practitioner will begin pressing the tool into the skin in a precise, safe manner. The device is then activated, delivering radio waves through the 49 individual needle tips in the applicator. Is the INFINI Laser process painful? No doubt the process sounds a bit intimidating, but our practitioners ensure that their patients are relaxed and comfortable throughout the entire procedure. 30 minutes prior to the start of the procedure the patients will receive a topical numbing agent that alleviates any discomfort. While the needles are microscopic some patients have reported that the sensation feels like a warm prickling sensation. Locations having deeper imperfections may experience greater discomfort than areas with surface imperfections. How long after the treatment will I notice results? The majority of patients have reported improvements in skin tightness as little as a week or two following their first treatment. Those areas of the skin that have deeper imperfections may require additional treatments for improvement to become obvious. The improvements should continue for the next 6 months as new elastin and collagen are built within the skin. You will also notice tightening continues for this same period. How long will the results from the process remain? While great improvements are possible with INFINI laser, the aging process will continue unabated. As time goes on the improvements you gained from your treatment will be overcome by the aging process, though the results are often visible for several years to follow. Taking proper care of your skin at home can greatly increase how long these improvements remain. Will I have any downtime following an INFINI laser session? 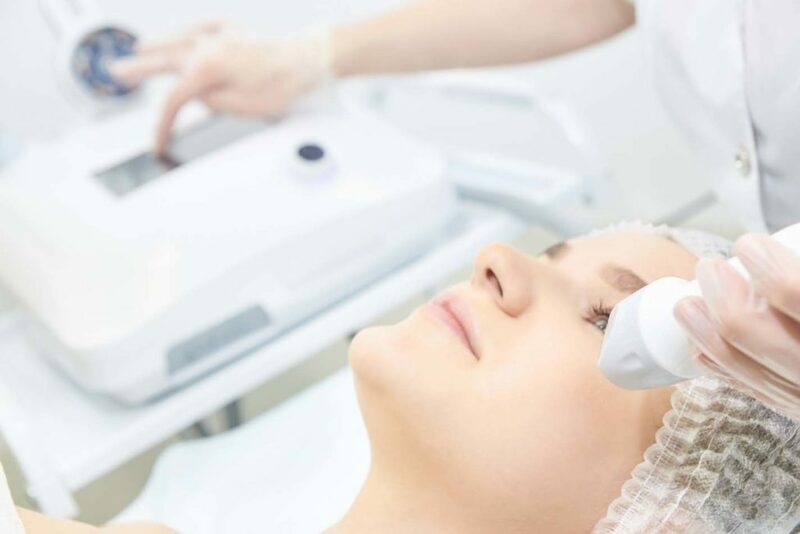 The INFINI Laser system does not carry any inherent downtime following the procedure, though you may experience some redness to your skin with possible bleeding in pinpoint areas. The redness will fade after 24 hours, though some swelling may appear in a few areas. Treated skin often appears dry a few days after the procedure. The number of INFINI laser treatments you may require will vary based on the depth of the imperfection you’re treating and the guidance of your practitioner. Most patients find the best results following three treatments, though in some cases more or less may be called for.